There’s been an increase in the level of negative commentary of late. Talk has centred around the value of shares (‘overpriced’), bond yields (‘moving higher’), market cycles (‘time for a bust’) and, inevitably, the timing of a correction (‘just over the horizon’). While some of the downside risks may be overplayed, prices and valuations are heightened across many asset classes. Given this, and some of the cyclical headwinds markets are facing, it’s an appropriate time to review and explore ways to protect your investment portfolio. One aspect not often brought into the discussion is the impact investment structure can have on investment performance; the structure can have a significant determinant on pricing. Liquidity – the ability to enter and exit an investment when you want – is often seen as an important investment characteristic. Without doubt, liquidity and the simple strategy of picking an index as opposed to specific stocks has resulted in the meteoric rise of ETFs. However, just as ETFs have risen in value off the back of their own momentum and a significant bull market, what happens when the pendulum swings the other way? Liquid markets rely on rational investor behaviour to operate efficiently. However, as history has proven on many occasions, investor behaviour becomes irrational in falling markets and thus, market movements are magnified. The liquidity and structure of ETFs amplifies this further; if, as history suggests, investors rush to sell their units, they risk pushing prices further down. This needs to be considered when assessing a portfolio for risk. Unlisted assets, such as unlisted property or infrastructure investments, can ride out volatile markets quite well, provided other attributes of the investment are sound. High net worth investors have a higher allocation to unlisted assets for this very reason. Provided you recognise the money is not at your fingertips, the lack of liquidity can reduce portfolio risk. Notwithstanding point one, an investment is ultimately only as good as the assets invested in. While you likely did your homework before investing, take the time to revisit your investment rationale, seek advice as required and be prepared to ask the ‘stupid question’. Remember: there are no stupid questions! Don’t be afraid to use your gut instinct… if it looks too good to be true, it often is. According to Scamwatch, Australians lost more than $64 million to investment scams in 2017, a 33 per cent increase on 2016’s figures. You don’t want to become a statistic. Reach out and ask people who might know more for their views. Collective intelligence can be a very powerful thing. Is the investment strategy high risk? What are the exit strategies? Does the asset or investment carry gearing and if so, to what level does asset pricing need to soften before covenants are breached? How will a market correction impact the investment? By understanding the responses to these questions, you can form a view about the sensitivity of an investment to risk and capital loss. Importantly, you can then decide whether the return being offered is commensurate for the risk and enable you to understand the probability of capital loss. ASIC will tell you “past performance is not a reliable indicator of future performance” but it’s often a good place to start. How has an investment provider performed? Is the performance sustained over a lengthy period of time or is it a ‘once off’? Has the manager outperformed the market and what level of risk has been taken to obtain this performance? In every asset class there are investment providers who have had strong outperformance for sustained periods. Try to understand why and how they do it. Be sure to ask any investment provider you are considering these questions and again, use the collective intelligence of your network to find out who the perceived good operators are. Fees are an oft overlooked, but very important, component of returns. What sort of fees does the manager charge? What proportion of the fees are not tied to investment performance? When you study investment returns, be sure to look at net – or after fee – returns. Good managers are willing to back themselves and take fees on the basis of performance. Good managers also invest equity alongside the clients, which helps align thinking and outcomes. At times when investment markets look uncertain, would you want to invest where the manager wasn’t willing to put his or her money on the line? 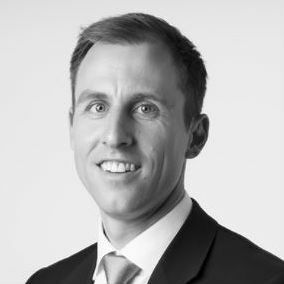 Adam Murchie is director at Forza Capital. Forza Capital Pty Ltd holds Australian Financial Services Licence number 345 929. This article is general in nature only and does not constitute specific investment advice.